On Friday 12th October YMCA Exeter held its third annual fundraising dinner at Woodbury Park Hotel with guests including The High Sheriff of Devon, Mrs Grania Philips, and Chief Constable of Devon & Cornwall Police, Shaun Sawyer. 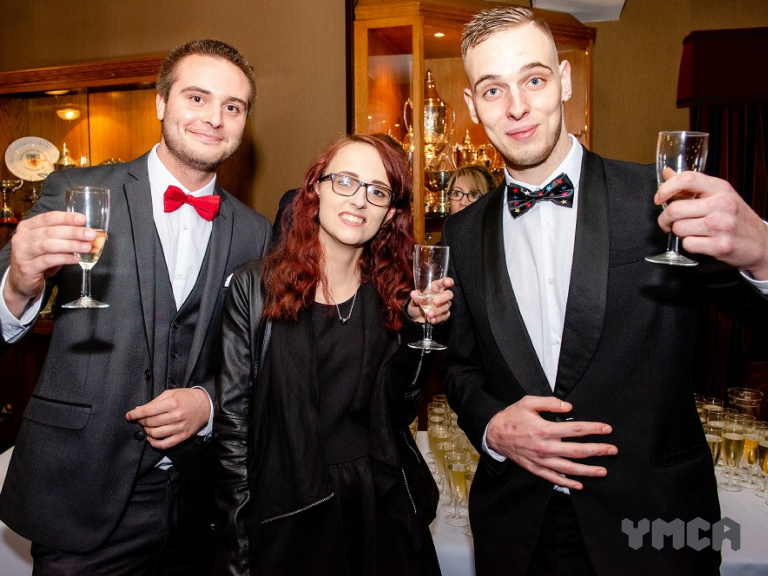 The Black Tie event was attended by 160 people and through ticket sales, a silent auction and individual pledges, and so far YMCA Exeter have raised £7,500 with donations still being made. The youth charity has existed in Exeter since 1846 and is known for working with, and championing young people, many of whom experience homelessness, unemployment and poor mental health. YMCA Exeter residents were amongst the guests for the evening and one young man told his story about how he dealt with rough sleeping and autism and is now stepping out into mental health advocacy. Bethan Spencer, Fundraising & Marketing Manager at YMCA Exeter gave the key note address, urging guests to acknowledge the injustice of homelessness and champion the needs of young people in the community. The charity has recently embarked on a development strategy which will increase their Supported Accommodation provision about 78% by 2024. The strategy begins by purchasing shared accommodation this year and funds from the dinner will be used to keep rent as affordable as possible for the residents who will come to live in it. To see the businesses in our Charity section, please click here.